Get up, get ready as fast as possible, grab the bag and leave for work. The mode is #MumbaiLocal, approximate 1 hour 45 minutes of train journey and rest on road. Pollution, Dirt, Sun, Heat and Sweat walk with you till you reach your destination. No matter how comfortable is the AC studded office cabins or how perfect the inside atmosphere is, the damage to your skin is already done in the 1st 2 hours and not to forget office to home is equally bad. Blemishes, Dryness, Dullness, Tanning and skin burn etc starts attacking you. 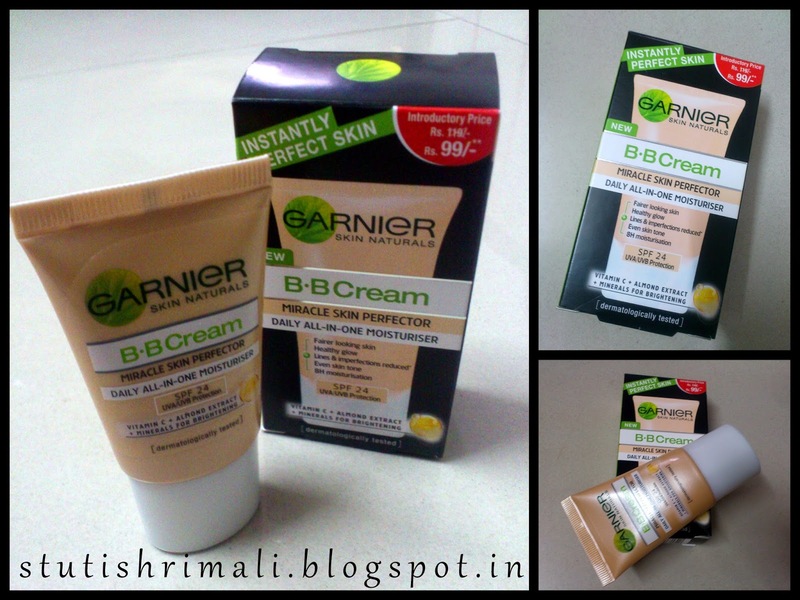 This was quite harassing till I got Garnier BB cream in my hands. It is a Beauty Benefit cream, the daily All-in-one moisturiser. The slim and handy this skin perfecter has got a place in my pouch. I leave for work not without applying this very light cream. It has a comfortable texture which blends perfectly with my skin and it smells so good and my skin feels so soft after applying this. Its an all day long cream but when I have field visit or go out in sun again I apply this. The Garnier BB never disappoints me. It not only instantly beautifies my skin & spreads evenly for a flawless finish but also keeps my face fresh all day. Most important thing to add is that I am a no make up girl and have nothing in my kit except occasional used lipstick, an all day long water proof eyeliner and a cream. I don't like to use foundation and face powder and thus always had a problem whenever I needed instant glow after a hard day work for any occasion. Now I have daily use foundation based moisturiser to my rescue, a Miracle Skin Perfecter. A hydrating agent, dermatologically tested; this BB Cream has SPF 24 and gives you UVA / UVB Protection; while Vitamin C, Almond extract and Minerals are for Brightening. Its not just Perfector but also a Protector. For Oily, Normal, Sensitive and Dry skin. Choose which one is yours and you know the answer already. Yes! it FITS all. Spread it on your skin with light strokes from middle of your face outwards on perfectly cleansed skin. The journey have been just 2 weeks and this is the first BB cream I have tried. Yes I would recommend to everyone. Its travel friendly and an instant solution. Worth a try. Have you used it yet? Do leave a message in comments below. P.S. 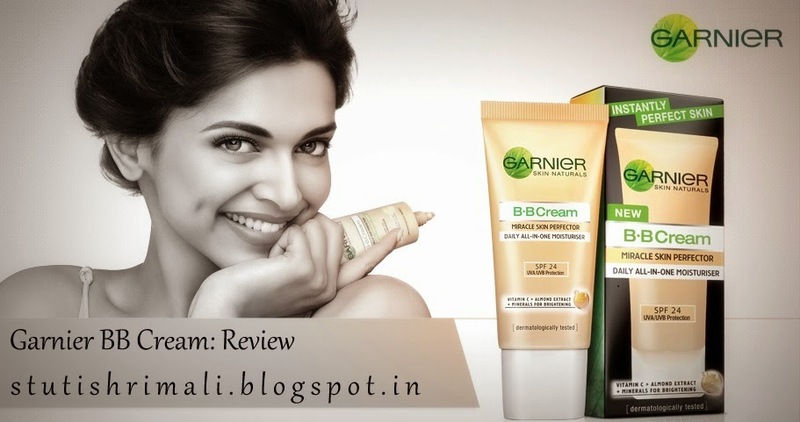 This review for Garnier BB Cream is for Indiblogger contest.